The Hyundai Veloster brings more style, capability, and standard turbo powertrain. Hyundai Asia Resources Inc. (HARI), the Philippines’ official distributor of Hyundai passenger and commercial vehicles, brings “The Greatest Show From Hyundai” to this year’s Manila International Auto Show (MIAS) from April 5 to 8, 2018 at the World Trade Center. This is composed of a series of heart-stopping performances dedicated to Hyundai’s Four Great Acts: the all-new Hyundai Veloster, the all-new Hyundai Santa Fe, the Hyundai Ioniq Hybrid, and the new Hyundai Kona. These models have never been seen in the country before. For this article, our focal point will be the Hyundai Veloster, which was unveiled at the 2018 Detroit Auto Show. The second generation Hyundai Veloster continues the tradition of building a quirky hatchback that has a coupe design on one side, while having a traditional hatchback design on the other. With its asymmetrical design, the Hyundai Veloster’s unique personality enables the fusion of both style and practicality in one vehicle. 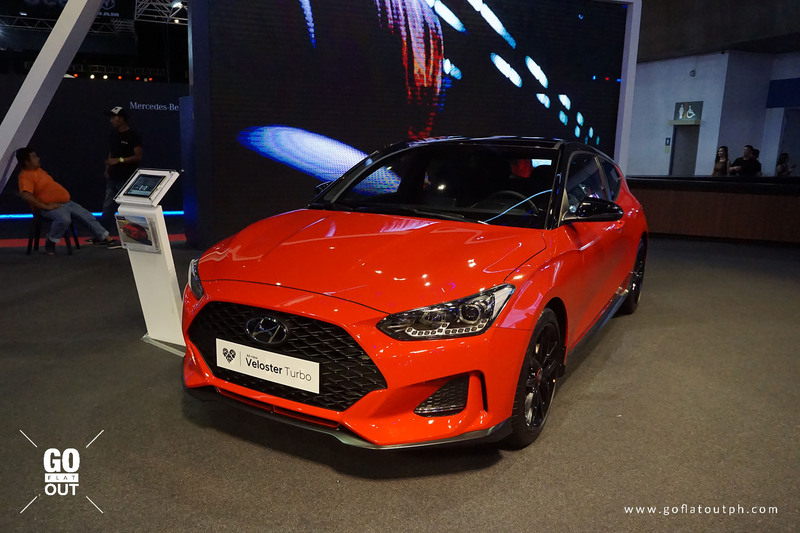 This new generation Veloster benefits from Hyundai’s corporate design language, which begins with its signature Cascading Grille, flanked by LED headlights with LED daytime running lights. LED tail lights give off a striking appearance at night, while on the side, the A-pillar has been moved further back, and the hood line now integrates cleanly to the car’s beltline. Side air curtains provide aerodynamic benefit, reducing air turbulence around the wheels. The focal point of the redesign has been the enhancements of its proportions and volume, lending the car its dynamic and purposeful silhouette. Finally, a two-tone paint option is now available, with the roof being painted black for a nice contrast with the rest of the car’s bodywork. 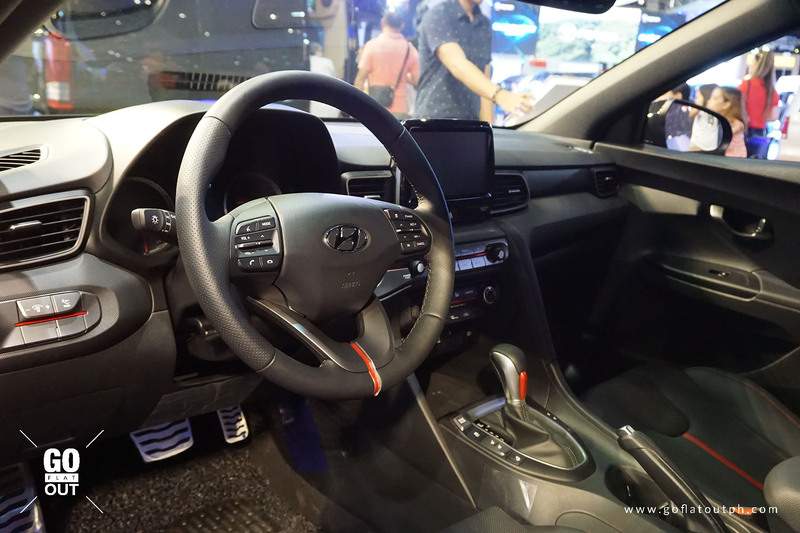 The Veloster’s interior is likewise asymmetrical, with every important control and feature being angled towards the driver. A sharp contrast of colors liven up the interior, visually separating the driver’s area from the rest of the interior in a seamless manner. An 8-inch freestanding touch screen infotainment system is front and center, providing information and entertainment needs for the car’s occupants. Powering the Veloster is a 1.6 liter T-GDI turbocharged petrol engine that produces 201 hp and 265 Nm of torque. An overboost function increases the torque to 274 Nm under hard acceleration. Power is sent through the front wheels via a 7-speed dual clutch transmission. Standard Torque Vectoring Control gives the driver greater control through the use of the brakes in the inside front wheel during enthusiastic driving for better cornering grip. The Turbo model offered for the Philippine market benefits from an independent multi-link, gas filled suspension, providing superior road holding, ride, and stability. Furthermore, the quicker steering ratio unique to this Turbo model provides enhanced driver engagement and agile handling.